Style HQ is one of Australia’s largest fashion distributors offering a specialised selection of imported European designer collections from its spacious Sydney showrooms. With its experienced team of professionals, Style HQ offers a premium fashion wholesale service to the Australian and New Zealand markets. DAY Birger et Mikkelsen is the brainchild of Keld Mikkelsen, whose founding vision it was to capture a chic silhouette and combine it with ethnic details inspired from his world travels. Faber’s knitwear coordinate collection is designed for the sporty-chic woman looking for premium-quality fashion, best wearing comfort and perfect fit . Beginning in 1973 Gerry Webber has become one of the most famous and successful German fashion houses. Offering lively, sophisticated and dynamic designs produced with high quality fabrics and exceptional details. Founded in 1993, the Scandinavian based lifestyle brand creates handmade rain boots & raincoats of the highest standard. The focus is on creating fashionable & functional pieces that embrace & compliment an active lifestyle. The range produces seasonal colours along with a NOS program catering to its customers all year round. The French fashion house has been creating timeless fashion for over twenty years. The designs are an expression of femininity and sensitivity. Fabrics and colours are transformed into sculptural and feminine silhouettes, with unique creativity. A merging of urban essentials with a little bit of the exotic…everyday! A collection that lets you tell your own unique and ever changing story…A story about a love for life and a life well lived! Designed to be the perfect legging, Lysse combines style, fit, and patent pending fabrics that hold you close to accentuate curves while minimizing distractions. Each range offers core styles along with fashion styles seasonally. Dedicated to establishing a balance between style, functionality and longevity…but most importantly personality. Madly Sweetly aims to provide a blend of staple garments with beautiful varied fabrics. A perfect fusion of textured materials, softened cuts and emphasized edges to suit your needs while remaining timeless. Sport-luxe designs and high quality fabrics. Marc Cain Sports upholds the principals of the main collection, while allowing for the movement and functionality of everyday wear for our casual lives. The latest European trends and fashion for every season. 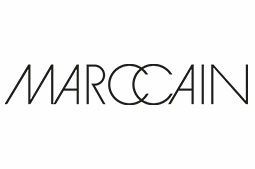 Marc Cain prides itself for its attention to details with cutting edge manufacturing techniques and luxurious fabric which are made in Germany. Beginning as a high quality knit wear label produced in Italy. 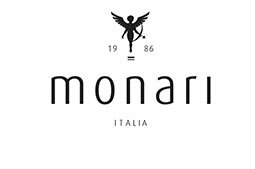 Today the Monari range is design orientated fashion offering trend focused coordinated separates in feminine silhouettes with a touch of embellishment. Since the launch of first Mos Mosh collection in 2010, women all over the world have embraced the feel and fit of Mos Mosh signature jeans. The brand quickly grew and expanded their collections with raw and delicate tops, tailored jackets and fine leather garments. NYDJ is the original slimming jean. Designed with love. Created to fit in a way that makes you look one size smaller. Promise. We use only premium denim with just the right bit of stretch so you never get bagging (even between washings). POM wants to add sparkle to people's lives by creating fashionable items that come in a colourful variety of unique and stylish designs to give everyone their favourite 'Piece Of Mine'. Shawls that can completely change your look in the blink of an eye.